It isn’t often in our lives that our passions collide. This fall my passion for preaching collided with my passion for the work I do in West Africa. The story begins when I was asked, the first time I visited Liberia, by the bishop of the Lutheran Church in Liberia (LCL), to bring Black American preachers to Liberia to teach pastors in Liberia their preaching style. This was amazing. He had no idea that I had received a doctorate of ministry in preaching. He had no idea that my thesis was about putting the best of Lutheran theology, with the best of the Black American preaching tradition to preach God’s love and grace. It took me almost four years from the time of the request to facilitate this workshop in Liberia. With much help from my colleagues in Global Mission and the aid of some leadership development courses that helped me imagine a project, put in on paper and pitch this project in order to receive funds to make it possible, the project happened. In November 2016, the first ever MWCA 4 MWCA Preaching Workshop took place in Totota, Liberia. It was part of the LCL’s regular pastoral training program. There were eighty two pastors present. This included pastors from two additional churches invited by the LCL; they were the Evangelical Lutheran Church in Sierra Leone and the Lutheran Church in Guinea. There was also a pastor present from Ghana. Of the 82 pastors, seven were women. The workshop consisted of understanding who we are as Lutherans, claiming law and gospel as our starting place for preaching, talking about the freedom of being who we are as we preach, and celebration as we “repeat what is worth repeating.” The workshop was led by myself, Rev. Themba Mkahabela, regional representative for GM/MWCA, Rev. Yehiel Curry pastor of Shekihan Chapel in Chicago and Rev. Lamont Wells, African Descent Lutheran Association (ADLA) president. Each day began with one of the facilitators modeling preaching law and gospel, and celebration. There were plenary sessions that centered us with worship, music and prayer; along with small group sessions that helped the participants explore scripture for the upcoming church season. There were six small groups. The last day of the workshop was amazing; twelve pastors preached, two from each of the small groups. What was absolutely incredible is that of these twelve preaching opportunities four were taken by women. The preachers were asked to keep their sermons to twelve minutes and they did! The sermon that absolutely blew me away was a sermon preached by a young pastor from the Lutheran Church in Guinea. He is French speaking; so, he read the scripture text in French and began to preach in English. In the middle of his sermon he broke out into song. This style of singing in a sermon was modeled by Pastor Lamont. This young Guinean Lutheran pastor preached law and gospel, celebrated and incorporated what he had seen modeled by one of the facilitators. This helped me call this workshop a success. While this was the first workshop and it was focused on preaching the MWCA team and project guiding coalition are planning others. We are hoping to offer workshops that lift up women and girls, teach stewardship and Lutheran Identity. Pray for us in our work. Readers, I am still westafricabound. I was in Quebec in August; I thought I would take vacation and take three weeks of French Language Study. Some of you know I have been trying to learn French since I started this job and to my surprise it is much more difficult than I thought. Conjugating verbs has gotten harder as I’ve gotten older…. and I use to be so good with language. I learned Spanish over 15 years ago and surprisingly every time I try to think of a French word, a Spanish word pops into my head. It doesn’t help that many of the students studying in the language school were from Latin America and when they didn’t understand what was happening in French they would break off into Spanish….I was so confused.Yet, I progressed. I took my vacation to do this. I had to admit: “je suis un peu fou.” I could have been laying on a beach somewhere. Yet it was a great experience. Quebec is beautiful. The weather when I was there was tres bon. There were a few days of rain, but only a few. I was about a twenty minute walk from the school and a twenty minute bus ride from the old historic city of Quebec. During the week I went to class until 1:00 p.m., answered work e-mail and stuff (Global Mission staff really don’t vacation. There is always some crisis going on in the world). If I was not doing that I would visit rue Cartier and its many shops, and this wonderful place apelle Chocolat Favoris, go to the movies, or visit a museum. On the weekends I was able to visit the old city and sit by the port, enjoying a leisurely meal and soaking up the sun. So the trip had some aspects of vacation. I found an Anglican Church to visit on Sundays. The Cathedral of the Holy Trinity. The priest there was a Lutheran from the Evangelical Lutheran Church of Bavaria….How cool is that? I went to the English service because the French service was at 9:30 and since I get up at six every week day morning I thought since I was “on vacation” it might be nice to sleep in. The service did have some prayers and readings in French. That was nice. I managed to learn a little French too. I left at the point that I could understand almost everything said. That seems to be where I am stuck. I can understand but not answer back. I can read, but not talk. So I am still struggling trying to learn French. Wish me luck! Learning French helps in my work because as always, I am westafricabound. I arrived in Liberia on May 5. As we got off the shuttle bus to go into the airport terminal, there were buckets set up and everyone was directed to wash their hands. You could smell the stench of chlorine in the water. From this I knew for myself that Liberia, the entire nation and all of its citizens were taking the fight against Ebola very seriously. Everywhere I went, whether a guesthouse, hotel restaurant or church, there were containers of bleached tinged water. At the meeting of the Lutheran Church in Liberia I washed my hands and had my temperature taken before entering the room. This seems to be standard operating procedure in most gatherings. 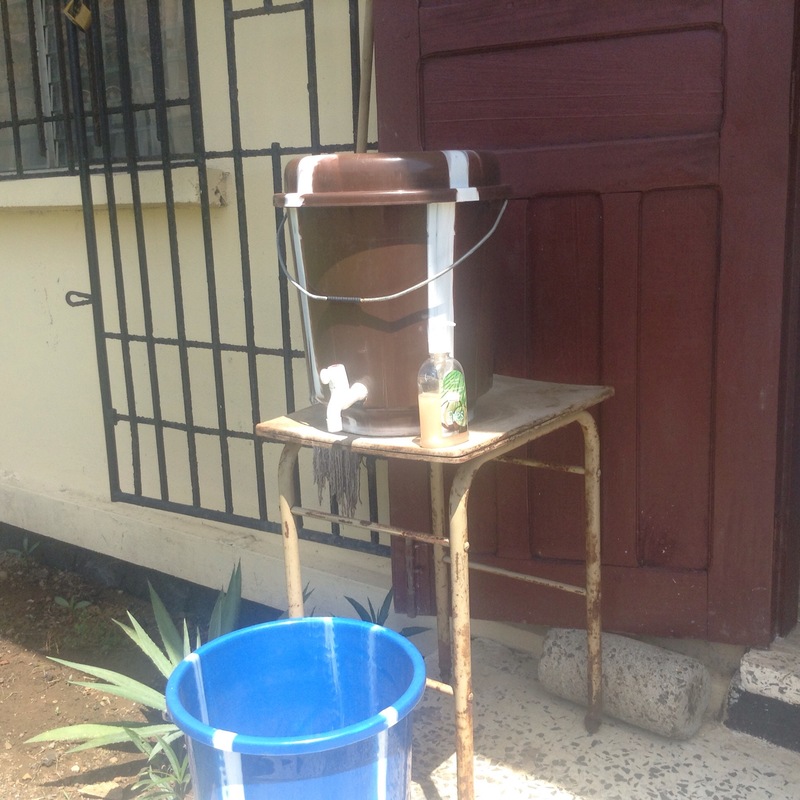 This way of being helped Liberia achieve the Ebola free status, the diligence, the tenacity and determination to put an end to this dreaded disease was evident everywhere. Leaving Liberia I heard a radio announcer remind the people that even though they had gained an Ebola free status they must not become lacks. He knows as he told the people listening that Sierra Leone and Guinea have not been declared free of Ebola and the borders are porous. So, we all continue to pray as we walk toward an Ebola free West Africa. I am Madagascar, Central Africa and westafricabound. Jesus says, I give you a new commandment….that you love one another….begins the Maundy Thursday sermon at the Kigali English speaking service. These words were spoken by Pastor Kate Warn as she told the congregation about the love God came to show us. I wonder what the members of the parish thought as we stood there five days away from the commeration of the genocide in Rwanda. 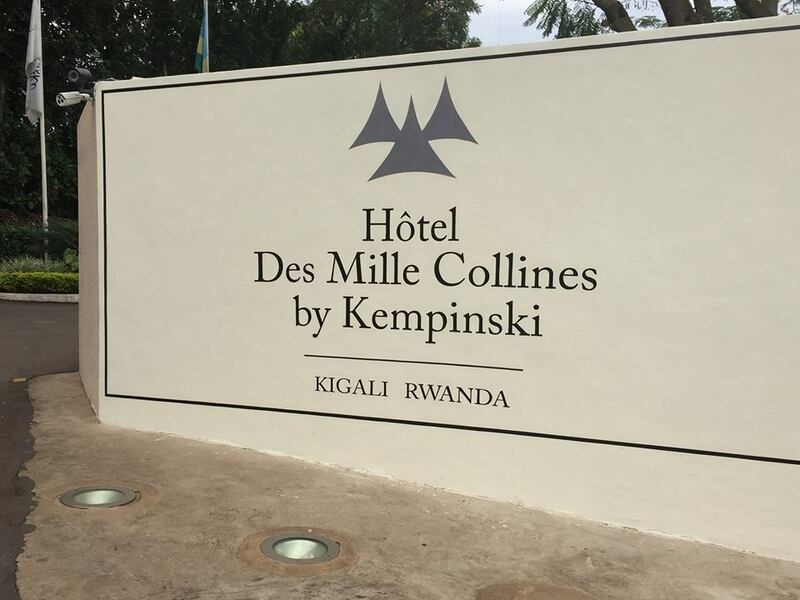 Many of us only know the history of Rwanda through the movie Hotel Rwanda and Don Cheadle’s performance of the manager of the Mile Collines Hotel and how he struggled to keep those being targeted safe. 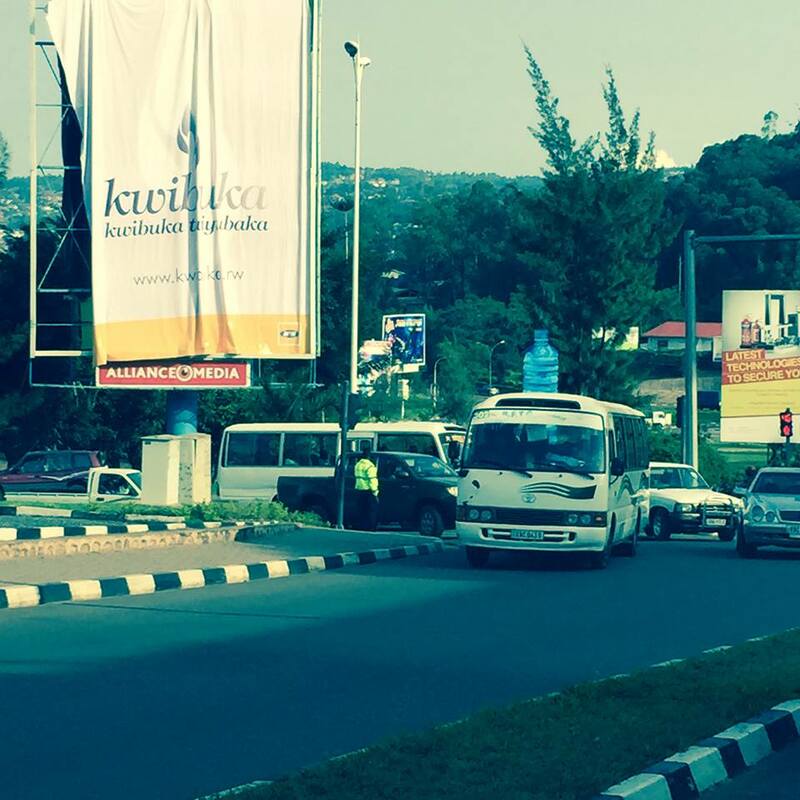 The Rwanda of 2015 is very different from the Rwanda of 1994. Rwandans are no longer divided by ethnicity or identy papers that marked their difference; there is one Rwanda and all its citizens are Rwandan. When I hear the words “love one another’ in this context, I realize just how much these words of Jesus mean. They seem very simple Pastor Kate told us in her sermon, yet she reminded us of how difficult they are to follow… to live out…to keep. In Rwanda it was within a Christian context that horrific violence against neighbors took place. Before we think how awful let me say that this reminds me of how violence happens in explicit awful ways and also how we do violence to one another in more subtle ways. In the U.S. no one is brandishing machetes but they are brandishing pens to make laws about who is in and who is out, who can be served and who cannot–deciding, how identity can be used to set apart and divide. The blanket on which these laws lie are religious freedom. So though good Christians believe that they have the right to make these decisions, all Christians are not in agreement. So there is division in the body of Christ even in the U.S. I understand that the writing of laws and the brandishing of machetes are not the same. Yet, these are both examples—as we do harm to the love that Jesus has so freely given to us. That love that would always err on the side of loving the other, not harming them–including the other, not excluding them. Let us remember no matter where we live and what our circumstances that God poured out his love for us on a cross, so that just maybe, as we deal with one another, we might consider Christ example of love. I cannot help feeling that I must write about how I am experiencing the stories of Rwanda and its people. Especially as I visit the week of April 7 a day that marks the beginning of 100 days of horror so many years ago. 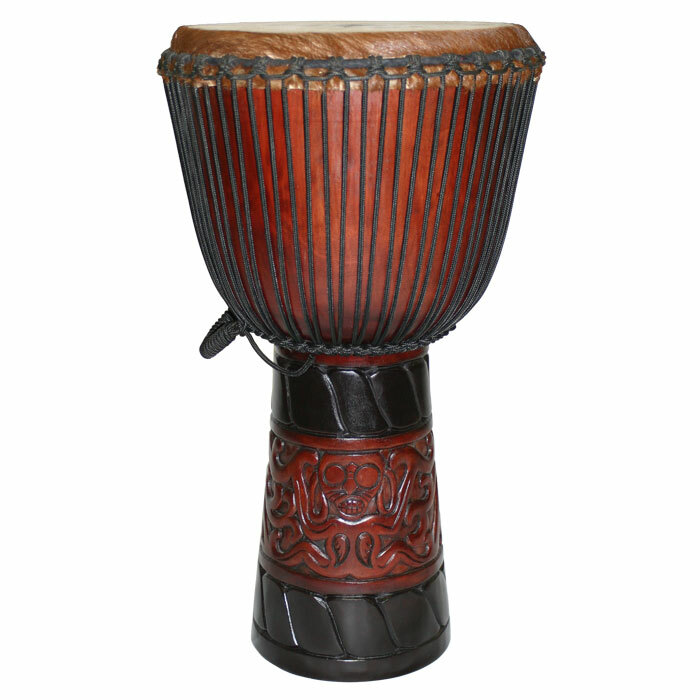 I read in books about the history of this beautiful little country in East Africa. This country that was harmed and then abandoned and ignored by the West. At least it seems so in my reading. I read books of prose and poetry about the genocide in 1994 and come to know that it did not happen by accident. I hear the stories of those who were not present when the genocide took place, because their families sought refugee in Tanzania and Uganda years before. They left in the 1950s, because they feared the worst and the worst came true. The sons and daughters of those refugees are back seeking to be part of a rebuilt, better Rwanda. Some of these who have returned founded the Lutheran Church of Rwanda. I have seen the bones and the clothes of victims soaked in blood and even a blood stained altar. I have seen an exhibit entitled “Portraits of Reconciliation” and I stared into the eyes of those who have been forgiven and those who have found strength to forgive. Their eyes are haunting. I see the evidence of a country being rebuilt. In my first visit I saw Mbingo and Rwmagana now the village of Ndego. This village and neighboring villages was once Akagera National Park. Now instead of tigers, elephants and buffalo, there are people. The Lutheran World Federation helped to build this settlement for the many who were displaced. So, what am I a Western who until watching the movie “Hotel Rwanda” knew nothing of Rwanda. Until then Rwanda held no conscious place in my mind or my heart. I know that the more I know of this country and its people my heart is opened. Yet, what good is an open heart if it is not used to improve oneself or to make the world a better place? My heartbreaks at the thought of what has happened here but not to the point of despair. I see hope all around, the hope of a people moving toward unity and healing. My work brings me to Rwanda and now this lush green terraced country has found a place in my mind and my heart. 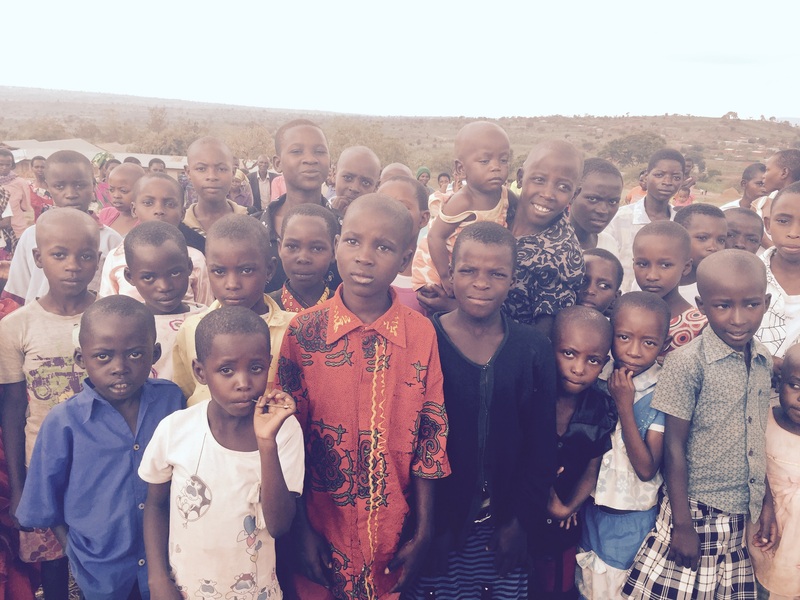 The smiles of the children have warmed me. 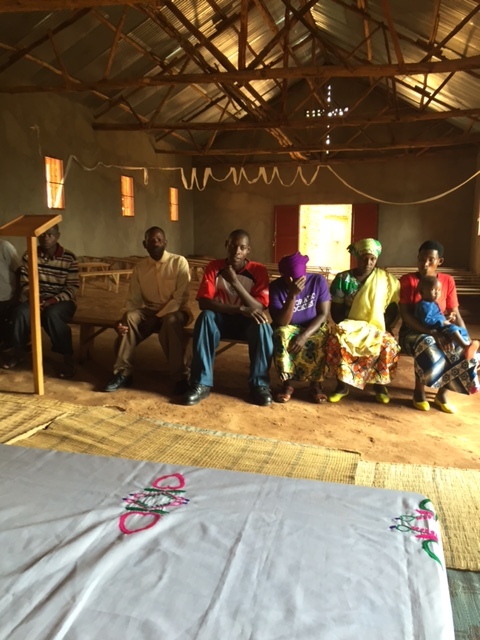 I am praying that the little I can do with the Lutheran Church in Rwanda might be beneficial. I am praying that twenty one years after the genocide the future for the people of Rwanda is a bright one and I hope to, return again and again to see that bright future unfold. I am westafricabound and now Rwanda bound.